climate models | Global Warming: Man or Myth? The Wall Street Journal’s Saturday Essay by Steven E. Koonin, titled Climate Science is Not Settled follows WSJ’s standard playbook. Have a so-called expert either deny the science or advocate for delay on action to address the issue. Goalposts are not just for sports: Climate deniers use them too! The difference is that in sports the goalposts are stationary while climate deniers constantly move them to suit their motives. It appears that even the most ardent climate change deniers are accepting what virtually every publishing climate scientist knows and what every international academy of sciences knows: human activities, especially the burning of fossil fuels such as coal, oil, and natural gas, are causing the planet to warm. And of course, our eyes also tell us. Here in the US and also around the world, we are observing an increase in the frequency and severity of drought, heat waves, fires, and floods. 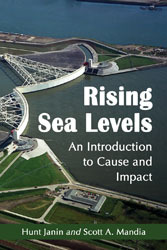 We also see the increasing sea levels which played a significant role in Sandy’s devastation.